— Angry Brigade, communiqué 8. Between 1970 and 1972 the Angry Brigade used guns and bombs in a series of symbolic attacks against property. A series of communiqués accompanied the actions, explaining the choice of targets and the Angry Brigade philosophy: autonomous organisation and attacks on property alongside other forms of militant working class action. Targets included the embassies of repressive regimes, police stations and army barracks, boutiques and factories, government departments and the homes of Cabinet ministers, the Attorney General and the Commissioner of the Metropolitan Police. These attacks on the homes of senior political figures increased the pressure for results and brought an avalanche of police raids. From the start the police were faced with the difficulty of getting to grips with a section of society they found totally alien. And were they facing an organisation — or an idea? This book covers the roots of the Angry Brigade in the revolutionary ferment of the 1960s, and follows their campaign and the police investigation to its culmination in the ‘Stoke Newington 8’ conspiracy trial at the Old Bailey — the longest criminal trial in British legal history. 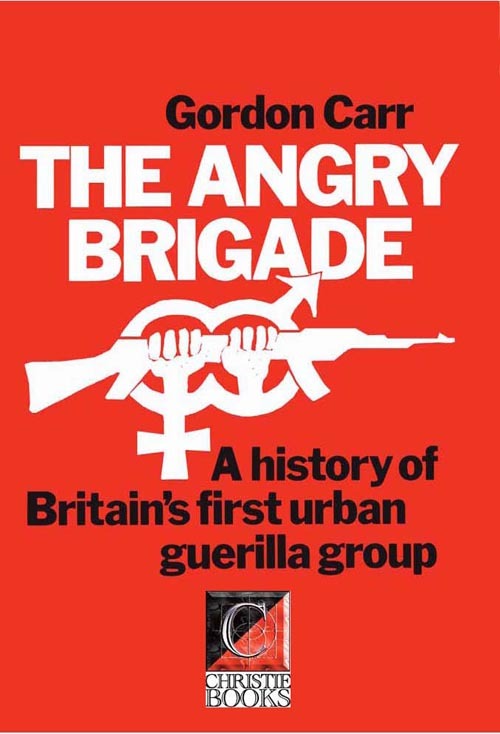 Gordon Carr produced the BBC documentary on the Angry Brigade and followed it up with this book. Written after extensive research — among both the libertarian opposition and the police — it remains the essential study of Britain’s first urban guerrilla group. This expanded edition contains a comprehensive chronology of the ‘Angry Decade’, extra illustrations and a police view of the Angry Brigade. Introductions by Stuart Christie and John Barker (two of the ‘Stoke Newington 8’ defendants) discuss the Angry Brigade in the political and social context of its times — and its longer-term significance.